A stunning hardwood jewellery box made by AINE, engraved with Rue de la Paix, 4 Bis, PARIS. 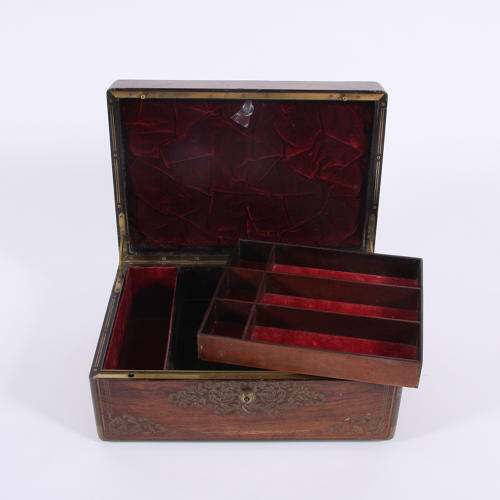 Inlaid with brass marquetry and handles both showcasing stunning craftsmanship and detail. Original burgandy velvet interior with a secret letter holder. Drawer with original lock and key in working order.